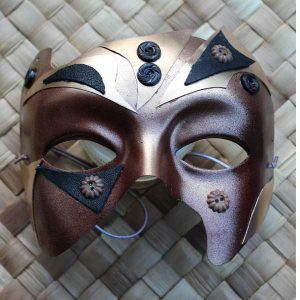 These masks are made to match. 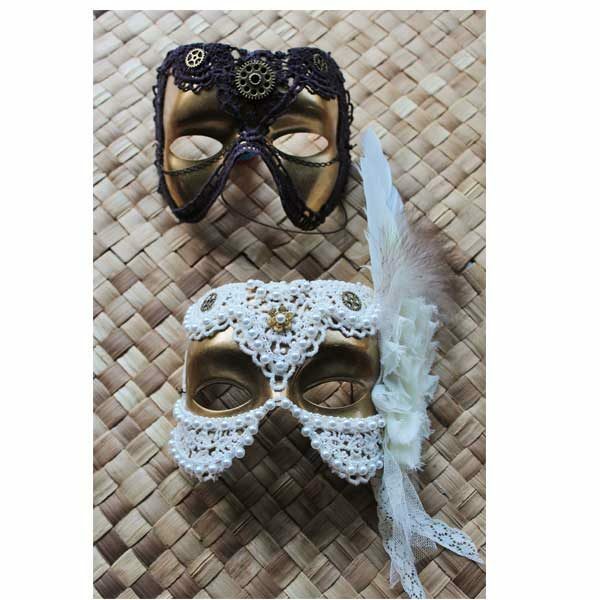 One for the man and one for the woman. 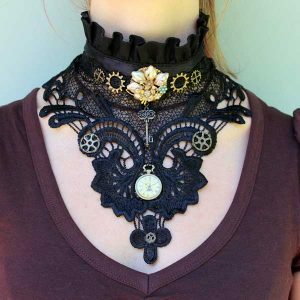 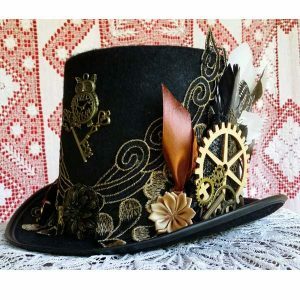 The off-white cotton lace, flowers, feathers and cogs make them perfect for a steampunk wedding. 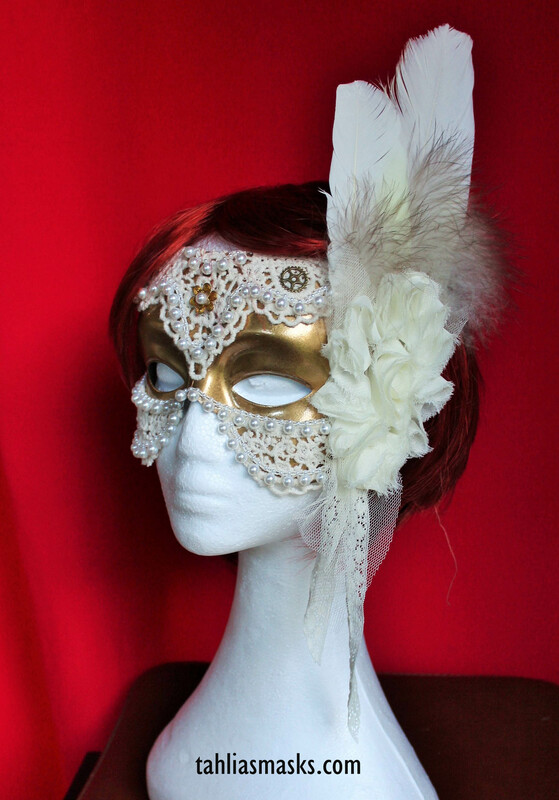 Or you could wear them to an Eyes Wide Shut event or any party where you want to go as a couple. 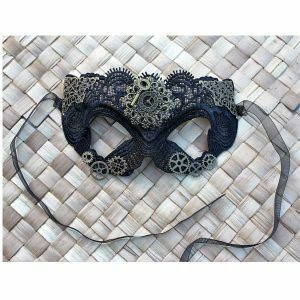 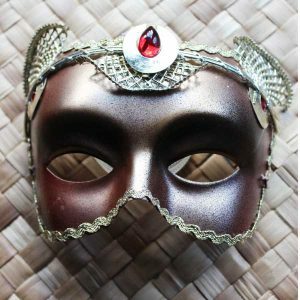 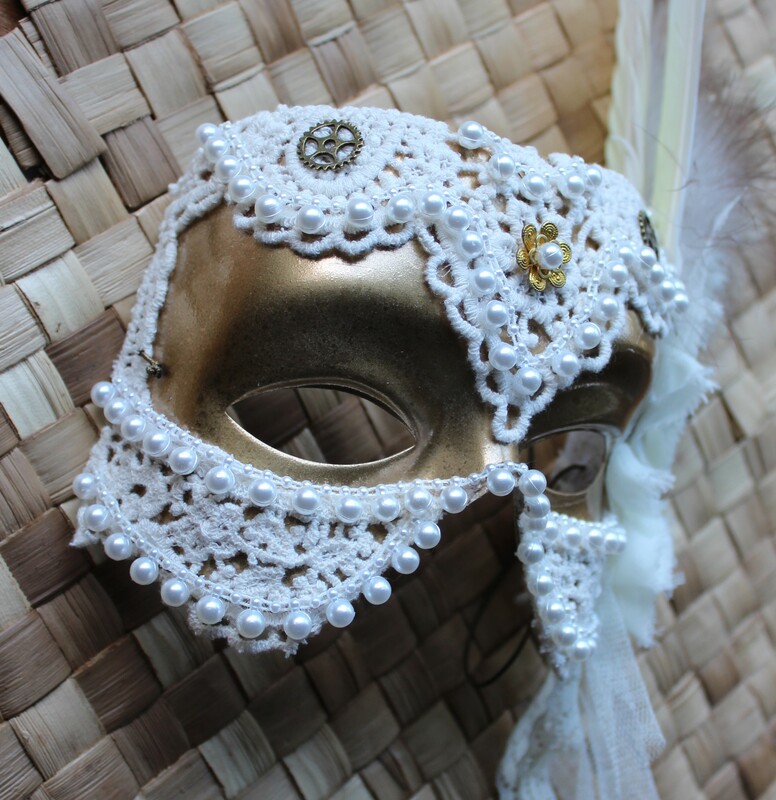 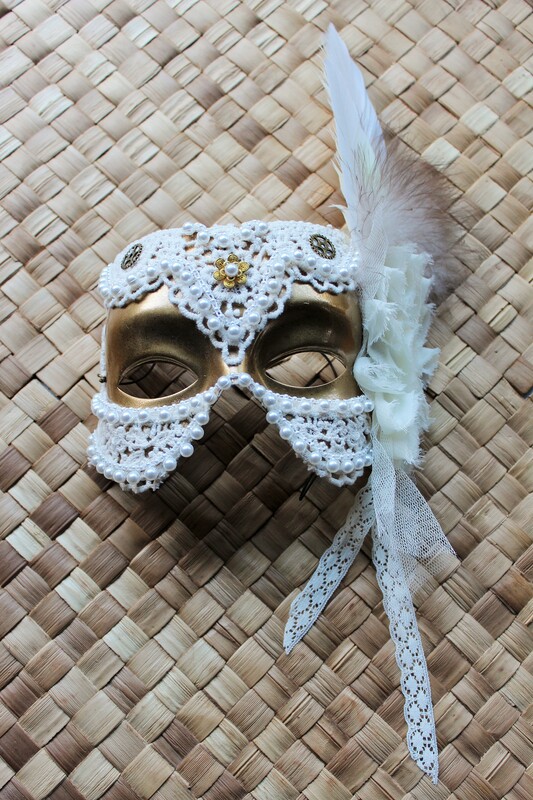 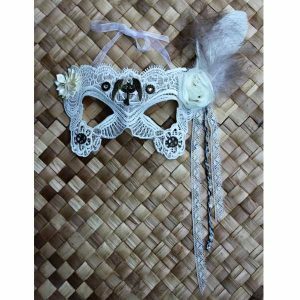 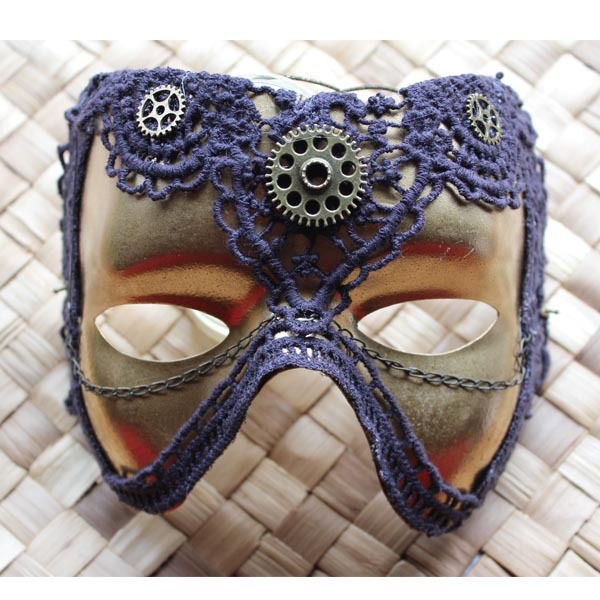 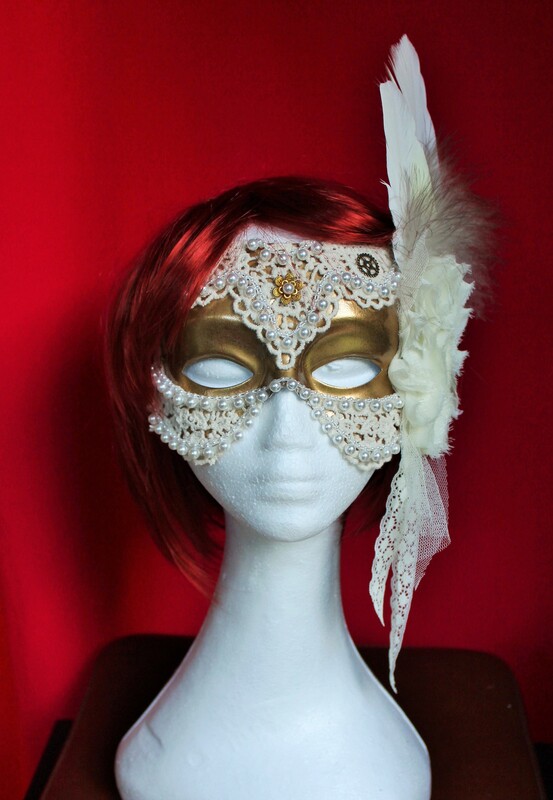 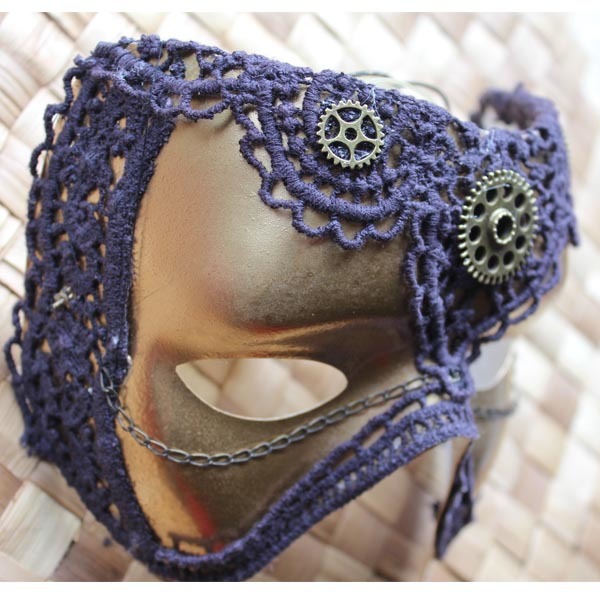 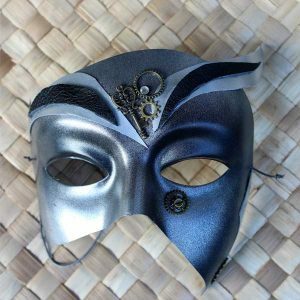 Made on a plastic mask base, these masks are painted gold and decorated with steampunk charms, off-white cotton lace, soft chiffon flowers, feathers and plastic pearls.